I usually do an introduction type post at the start of every year, where I tell you who I am and show you around the blog… just like a digital tour guide. But this year, my TENTH as a wedding blogger, I thought it would be fun to try something new. If you’re anything like I was when I first got engaged, right now you’re feeling a heady mixture of emotions – including but not limited to – excitement, nerves, ecstasy and nausea. You have the mammoth task of planning a wedding ahead of you and all the stresses that come with it. OH ISN’T THIS FUN!? If you’ve stumbled across this site its probably because the idea of a traditional wedding fills you with dread. If you’re worried about how your grandparents will react to you walking down the aisle to your favourite Megadeath song, or wearing a big white dress and covering your tattoos is quite frankly OUT OF THE QUESTION, then good news! You’re in the right place. Today I want to put your mind at ease and let you in on the 10 most important things I’ve learnt about wedding planning throughout my 10 years in the wedding industry. I have lost count of the number of brides and grooms who’ve told me they started their wedding planning without wanting to upset anybody, but when the day rolled around they were really pleased they just picked the things that made them happy. Look, there will always be someone who doesn’t like some of your choices, but – newsflash! – it’s not their wedding, its YOURS. So start your wedding planning off without the headache of trying to keep other people happy and do things that make you squeal with joy. At the end of the day who cares if someone doesn’t like the food you served, the tunes you played or the dress you wore? It’s your wedding and if they don’t like it they can jolly well stay at home! I really wish I had walked down the aisle to that rock song we originally wanted, I wish we had taken the risk and booked that quirkier venue that had never hosted a wedding before, and I do wonder what my flowers would have been like if I hadn’t just agreed to everything that the venue’s recommended florist suggested. At the end of the day, it didn’t matter of course. I still look back with the fondest of memories, but if I could do it all over again, we would 100% be choosing things that were much more reflective of us. This is an important one! Yes you are ‘the bride’ but no you are not always right. No you are not the most important person in the world. No, everyone does not have to do what you say and bow down before you. A wedding is about two people committing their lives to each other, but its also about two families coming together. It’s also about those you love celebrating with you so do not think its acceptable to just do whatever you want without considering other people. Do not stamp your feet if you don’t always get your own way. Compromise is important. The little boy that got everything he ever wanted didn’t live happily ever after (sorry Willy Wonka), the little boy that got everything he ever wanted turned into a massive brat. Its a very common thing when people get engaged for them to get over-excited and to ask people to be a bridesmaids really quickly, only to get further down the line and realise they’ve made a mistake. Not only do those expenses really add up (each bridesmaid you have is one extra dress, one extra bouquet, one extra thank you gift) but the more bridesmaids you have the more potential there is for drama too. Take your time deciding who you really want to be a bridesmaid, there’s no massive rush to ask anybody. Work out your budget first, then figure out how much each bridesmaid is going to cost you. The other thing you might want to consider is who will actually be an asset in the run up. As cut-throat as it sounds, is your mate who’s always partying, can’t hold down a job and bounces from boyfriend to boyfriend going to step up and help you, or will she just make everything even more difficult? Small budget or big budget? It doesn’t matter! Some of the most incredible weddings I’ve ever seen have cost just a few thousand pounds. However, equally, some of the biggest budget weddings I’ve featured have been the most intimate and special. YOUR WEDDING IS NOT A COMPETITION ON HOW MUCH YOU CAN SPEND OR SAVE. I think we’ve all come to realise now that you don’t need to spend £20,000 (the alleged national average) to have a fabulous wedding, however I see something I like to call “one-down-manship” way too often in comments on the Rock n Roll Bride facebook page. 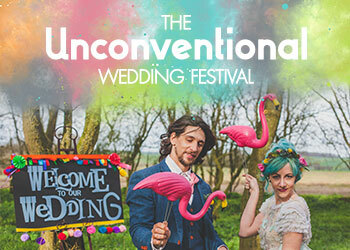 When someone is spending less on their wedding, or choosing to DIY rather than buy something, they seem to feel the need to talk about it at every given opportunity (“Call this £5000 wedding a budget wedding? PAH! We’re only spending £500!”). Just because you’ve got your wedding dress from your closet, you’re making all your own food, welding your own rings, and building your own marital bed that does not make you more of an alternative bride, nor does it make your wedding superior to anyone else’s (rant over). For me, the things you really should not scrimp on are your photos and video. No, your mate with a ‘nice camera’ can not take photos just as well as pro (he’ll probably get pissed at 3pm and forget to shoot the speeches). No your friend’s photos that they wack a filter on and put on Facebook will not be good enough. Believe me, the NUMBER ONE REGRET I hear from newly married couples is that they hate their photos and they wish they’d just invested that little bit more to have really great ones. We didn’t even have a wedding video and I really, really wish we’d found that extra money to have one. We have one shaky, 10 second clip that a friend took of me walking down the aisle on her phone and everytime I watch it I get the same rush of emotions and excitement that I had on the day. I just wish we had more of it. Believe me, you’ll be hating yourself if you’re still making paper flowers and centrepieces the night before your wedding. Start making things as soon as you can – the earlier the better! Listen to me: You are not bothering your friends and family if you ask them for help. Most of them will want to be involved in your wedding. You will feel much less stressed if its not you doing every single thing. In the same vein, booking someone to be in charge of the smooth running of the day will be the best money you spend. Yes, you might want to choose your own suppliers and make all your own decor, but having someone else making sure everything happens when it’s supposed to on the day will mean you can ACTUALLY enjoy it and people won’t be coming to you with last minute questions or panics. The venue you choose is the starting off point for everything else. You can’t very well have an outdoorsy festival wedding if you’ve booked a warehouse space in the middle of the city can you? 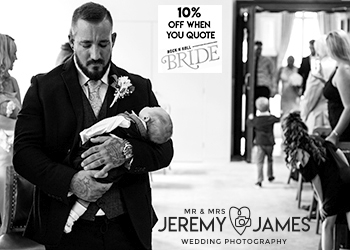 Booking the venue is the most important thing to do first because from that you’ll then have your date, meaning you can start to book other suppliers. But also you’ll know what space you have to play with when it comes to organising things like the running order of the day, the decor and the party! 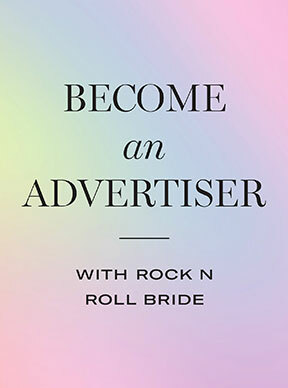 Join the Rock n Roll Bride private Facebook group! You’re going to need friends who are also engaged to bounce ideas off, ask for advice and sound off when things get frustrating. The Rock n Roll Bride Facebook group has over 7000 members but its only of the friendliest, most helpful bunch of babes I’ve ever come across. I swear, you’ll wonder how you ever planned your wedding without them. If you are newly engaged I’m so pleased you found Rock n Roll Bride. Oh and CONGRATULATIONS!! Great advice as always! The advice on photography is absolutely spot on. Love your unique outlook, Kat! Thanks so much for your tips. Amazing advice as always Kat! Wish I knew all of those that day! Great advices and useful tips! We’ve seen couples booking their catering company before going on a venue hunt – although the other way around, sometimes this works as well, some caterers work with the city’s best wedding halls and can recommend a suitable venue they know already. Very useful post, thank you!! I hate to be THAT person but in the point ‘Start your DIY projects earlier then you think you need to’ it should be than not then. Loving the blog though! Looking forward to using it to help me plan! An ordinary person can look like prince or princess, that’s called the magic of photography and videography. Realy beautiful. Absolutely.. fantastic points.. People need to understand their own style and limitations.